This binary options trading strategy article is aimed at describing the use of the FX Turbo Marksman indicator to pick out trading signals for some selected binary options trade types. First, let us have a word about this indicator. This indicator is commercially available from the stable of …. This indicator is able to identify short term price reversals based on the principle of price action. It is optimized to work on the 1 hour charts of a selected number of traded assets. It is built for use on the asset charts of the MT4 platform, where it can be attached to the custom indicator folder and attached to the chart when needed. So in order to secure this indicator and subsequent upgrades, it is necessary to procure the original version of this software. 1) Download the MT4 client from FxPro. 2) Attach the indicator set to the Experts à Indicator folder of MT4. 3) Open the MT4 trading platform, click on the Custom Indicators folder and attach the specific indicator to the asset chart. When the indicator has been loaded into the custom indicator folder of the MT4 client and attached to the chart, it is now primed to deliver signals that can be used to trade the asset on the binary options platform. 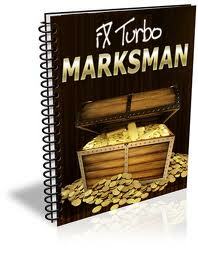 How does the FX Turbo Marksman deliver its trade signals? It does this by the means of an arrow; a red arrow which points downwards for a bearish signal and a green arrow which points upwards for a bullish signal. 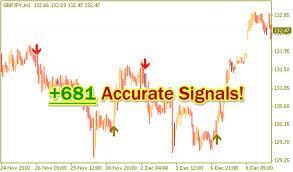 Whenever a signal appears, a sound alert goes off to alert the trader on the appearance of the signal. A pop-up box also comes up showing the direction of the signal, the asset to be traded and the time the signal appeared. Traders need to be very alert to this as whenever the MT platform is opened, the pop-up box and the sound alert appear. A trader may be deceived in thinking that this is a new signal, therefore the time of the signal should be checked before any decision on entries is made. It is essential to point out that the signals generated by this indicator on a 1 hour chart are extremely short term in nature, hence timing of the trade entry on the binary options platform is crucial for the successful implementation of this strategy. For this reason, it is essential to add a second indicator known to the mix. This second indicator is known as the “CandleTyme” indicator. This indicator indicates how long a candle has been open and how many more minutes it will remain open. Since the charts used are one hour charts, each candle represents the price action over an hour. The longer the candle has been open, the lesser the reliability of the signal. The best signals are those which appear within the first 20 minutes of the candle open. This can be confirmed with the CandleTyme indicator. 1) High/Low or Rise/Fall with a one hour expiry on Betonmarkets. 2) Classical Call/Put option on the SpotOption partner platforms (see earlier blog posts for examples). Expiries can be from 30 minutes to 2 hours. 3) High/Low on Tech Financial partner sites such as AnyOption or OptionFair. Signals are 75% accurate when utilized correctly, which is not a bad return at all.